Lana Del Rey, the seemingly ever-present pop star renowned for her smoky, seductive vocals and cinematic sound, has released her brand new album Honeymoon. Even though Del Rey has described herself as a “gangsta Nancy Sinatra” in reference to her previous albums, Honeymoon is a departure from the 1960s Americana vibe that has been reminiscent of her music in the past. It’s slow and soothing, Del Rey’s vocals more crooning and husky than ever. The fourteen track saga that is Honeymoon is highly orchestral and grandiose, far more dreamlike than any of Del Rey’s previous releases. Although the record still captures the essence of California glamour that was so instrumental in Ultraviolence (Del Rey’s 2014 record), Honeymoon carries itself with a newfound sense of sophistication. Del Rey seems to carry herself in a more reserved manner this time around. The album is not showy or flamboyant, but instead leaves a quietly profound impression. It’s luxurious, timeless pop music that could slither into any era and fit in. Honeymoon doesn’t need to pack a one-two punch to get your attention, but instead impresses with its thoughtful lyricism and orchestral elements. Hollywood and Los Angeles are key elements to the record, especially on tracks such as “Terrence Loves You” and “Art Deco.” Even the album cover boasts a picture of Del Rey on a Starline tour bus. 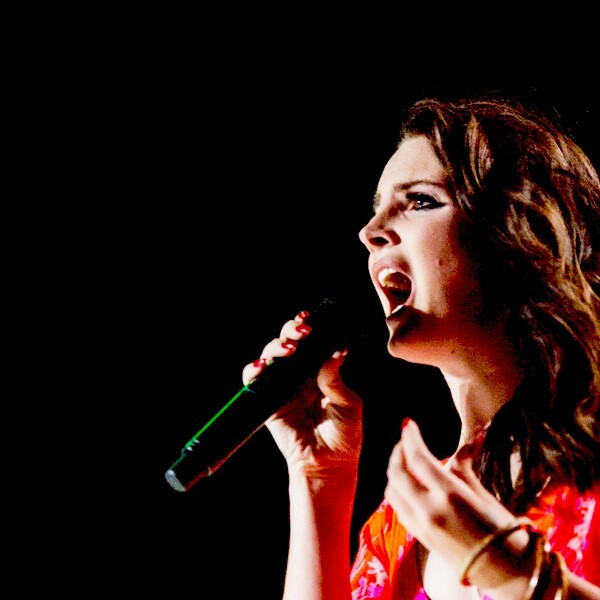 Del Rey’s voice has always been smooth and soaring, but her vocals on Honeymoon are some of her most mature and remarkable. Her voice is almost unrecognizable on “The Blackest Day.” It’s all-consuming and cinematic; unwavering and refusing to back down. The lyrical themes on Honeymoon have stayed true to those of Del Rey’s previous discography. On “Religion,” Del Rey croons about the unbreakable bond between her and a man, and how she’s incapable of staying away from him: “You’re my religion / You’re how I’m livin’ / When all my friends say I should take some space / I can’t envision that for a minute”. Long-time listeners of Del Rey can recognize this recurring trend of male dependency, first developing on her 2012 record Born to Die. Del Rey’s pining has become a keystone trait of her music. Honeymoon is the epitome of the West Coast: music for lounging on the beach, with an infusion of old Hollywood glamour. Honeymoon is living, breathing proof of Del Rey’s musical progression and vocal maturity.